The results were a mixed-bag for me. I managed to only catch Marilyn and Tom (whom I sprinted by in only the last 50 feet or so) so I finished third-to-last-place, once again! “Felix gets another lesson in humility,” kidded Margie as she handed out ribbons at the end. 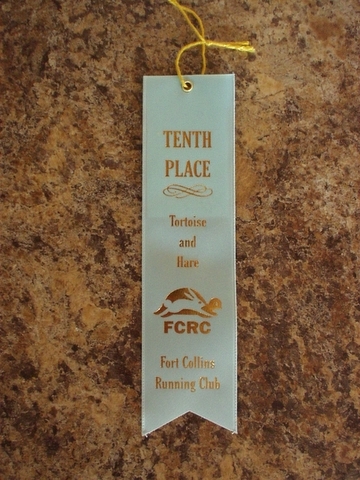 On the other hand, my time was good enough to be the “male hare” (the man with the quickest time), plus my 10th place ribbon allows bragging rights to a “Top 10” finish. We will neglect to mention that there were only 12 finishers, of course.